One of the first Jewish settlements in the country, Zichron Yaakov was established by Baron Edmond de Rothschild in 1882 and named in honor of his father Yaakov. 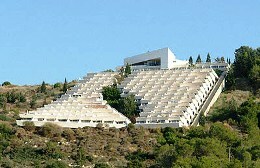 In Hebrew, Zichron Yaakov means "Memory of Yaacov". It is also the home of Israel's famous Carmel wineries, which began operations in 1886 and now offer tours that include wine tasting. During World War I, the town served as the headquarters for the Nili spy organization that included Sarah and Aaron Aaronsohn. The Aaronsohn House now houses a small museum devoted to the family's history. Surrounded by acres of natural woodland, the Havat Habaron Hotel Zichron Yaakov is an ideal retreat for those wanting to appreciate nature at its best. The hotel offers rooms that are well equipped with a host of amenities to make you feel comfortable all through your stay. All the rooms come with an open terrace overlooking the Mediterranean Sea . 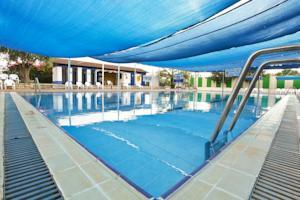 Featuring an outdoor swimming pool, Eden Inn is located in Zikhron Ya‘aqov, 1.5 km from Habaron Promenade. Surrounded by the lush garden, it offers air-conditioned rooms with a flat-screen cable TV. Free Wi-Fi is provided in the lobby. As you walk down Rehov Hameyasdim ( the main street ) please notice the signs on the various buildings. They provide information about Zichron Ya’acov’s past. Whether you decide to attend an afternoon concert, visit one of the many museums or simply wish to stroll along the settlement’s main street, Zichron Ya’acov is recommended for a fascinating and pleasurable visit. Carmel Gardens is also a hotel set in beautiful gardens.